I am so excited to post this review! Two years ago, I was introduced to an amazing company, Maestro Classics, when I had the chance to review The Tortoise and the Hare. Last year, I was able to review Peter and the Wolf. This year... This year, Swan Lake is what they chose to send to the TOS Homeschool Crew. So I've been listening to my copy extensively over the past few weeks. Like every single Maestro Classics title, this one includes simply amazing music, some great music history, more great music (it is worth the price of the CD just for the Speed Metal Swan track), some great information about the music, and then some fun stuff geared to the younger set. 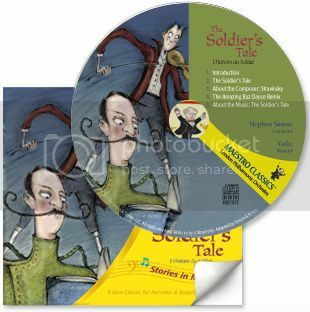 The booklet that comes with the CD also includes some great stuff... bios, little activities, a discussion of acoustic vs. electric guitar, discussion of major and minor with a chance to try to figure out the differences for yourself. What I love about Maestro Classics -- every single title we've tried (and, ummm, we own them all... or we did!!! Guess what, there is a new one. Oh, be still my heart...) -- is that it is appealing for everyone in the family. My daughter was 3 when we first started listening and she loved them. My two teen boys (13 and 14) both really enjoy them as well. Thomas (11) -- I like the music. I like the way the narrator tells the story. William (13) -- It has lovely music. Connor (14) -- my favorite part is Mr. Simon explaining about the music. For instance, he talks about how the ballet consists of music they can dance to and music to help tell the story, and then explains more about the Waltz and the Polonaise. There are also sets available, and occasional sales. 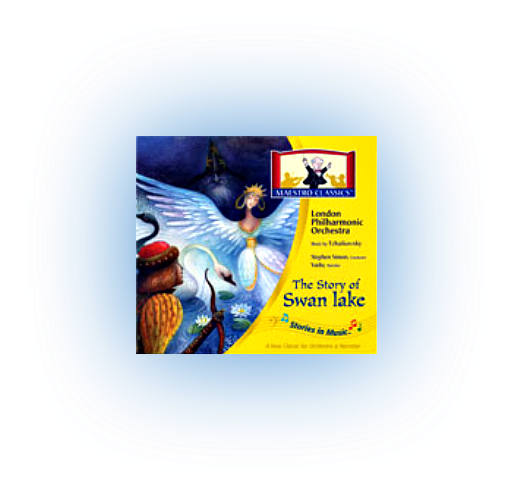 Right now, when you purchase Swan Lake you also get a free mp3 download of the orchestral version of Swan Lake. Other titles I haven't mentioned are Mike Mulligan and His Steam Shovel (the hands-down favorite of 80% of my children), My Name is Handel: the Story of Water Music (my favorite), Casey at the Bat, The Sorcerer's Apprentice, and Juanita the Spanish Lobster. Disclaimer: As part of the TOS Homeschool Review Crew, I was asked to write a review of this product. I owned it already, so no compensation was received. All opinions are my own. For more about my take on reviews, visit my blog post here.